Since I began working for the Webb Memorial Trust in 2012, there has been at least one serious study every month telling us how bad poverty is. Right on cue, as I was writing the review of these two books, the Joseph Rowntree Foundation published its annual survey on minimum income standards showing that ‘inflation and less generous state benefits have made it harder over the past year for families on tight budgets to enjoy what the public considers a decent standard of living’. This is one of 25 major publications on various aspects of poverty produced by JRF during 2018, and one of 576 reports since 2010. The Resolution Foundation has an equally prolific output with 22 reports related to poverty and inequality published in 2018 so far. 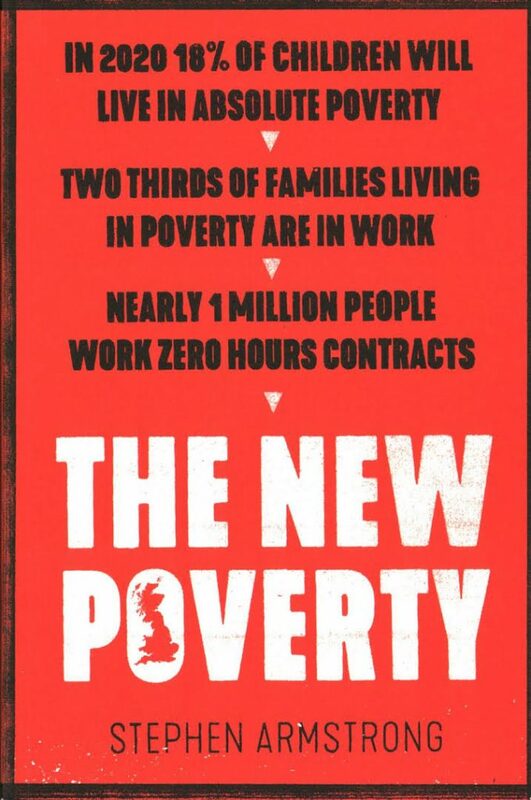 In the light of so many facts from just two of the many think-tanks working on poverty, I began my reading of both books with a sceptical mindset asking: what will they add? What do these books add? 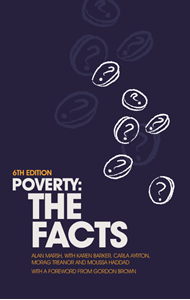 Poverty: The facts is a very readable and accessible account of the current state of poverty in the UK. It covers issues of definition, measurement, and causes and effects, identifying who is most at risk and what it is like to experience poverty. Data is drawn from official statistics and other people’s research. The book is in the research tradition laid down by Peter Townsend in his masterful Poverty in the United Kingdom (1979). The chapter I found most interesting was one that compared UK experience with that of other countries, which shows that the UK is not nearly as bad as might be thought but is driven by large disparities in wages. Although the book is not comprehensive (there is little about the geographic distribution of poverty), it is a useful reference point and gives strong evidence for a structural explanation of poverty, in contrast to the prevailing view of individual pathology favoured by right-wing politicians. The New Poverty covers much of the same territory but from an entirely different standpoint. Written in a journalistic style, and emulating George Orwell’s Road to Wigan Pier, the author recycles facts from a wide variety of sources while travelling throughout the country to interview many different people who are suffering the many harmful consequences of poverty. A striking feature of the book is how it uses Beveridge as its framing. Quotations from the 1942 Social Insurance and Allied Services report form the epigraph for each chapter, and the chapter headings follow the five evils (want, idleness, squalor and ignorance, though strangely he swaps disease for ‘health’). So back to my question about the added value of the books. While both are interesting and well-written books, most useful for reference purposes, neither contains much that is new. Five years later, the reports keep on coming, and I now feel like the character played by Bill Murray in Groundhog day – stuck in an endless time loop where nothing moves on. Reports on the worsening of poverty may get researchers on the Today programme or reviewed in the Guardian, but they have not had any discernible influence on government policy or on public attitudes in recent years. Moreover, as generations of communications research have shown, facts do not change minds. Confirmation bias means that we tend to assimilate any new data to fit our previous opinions. In our 2015 publication, The society we want, we laid out evidence that constant repetition of problems makes people switch off defensively and breeds a sense of fatalism in the population. So, the reports may even cause damage – fuelling a sense that nothing can be done. In reviewing a century of policies towards poverty in The solidarity society (2009), Tim Horton and James Gregory showed that social attitudes matter. During the 1970s, there was a significant shift in attitudes towards the welfare state, ceasing to see it as a source of national pride, but rather as a mechanism for supporting feckless scroungers who were gaming the system. Neither book reviewed here addresses public attitudes and this matters, because public attitudes are changing again. Bruna Seu has studied public attitudes to humanitarian aid and found that the ‘charity mind-set’ is fast losing ground. Reports that rely on compassion fail to hit the target, and yet the constant stream of reports from the poverty lobby assumes just such a mindset. Again, this is damaging because it reduces people to a bundle of needs. This in turn increases the sense of ‘otherness’ of people on low incomes and reduces their dignity. It also produces deficit-saturated thinking and leads to no useful strategies either to end poverty or to create a fairer society. We need to treat everyone as an asset who can contribute towards society, building on what people have, not what they lack. The age of paternalism is finally dying. This has profound implications for how the poverty lobby should work. I would suggest that leading organisations in the poverty lobby support this process. This means that they stop duplicating each other’s efforts in producing endless reports that say the much the same thing with such little result. Instead, they should support more creative efforts to think seriously about how to support people on low incomes to craft the world that they want to see.